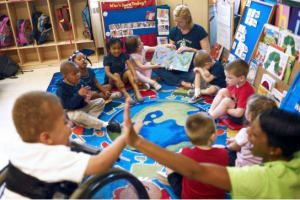 The students with difficulties or special needs are part of the class and have the same desire as their peers. The technology can be a mean through which to give equality and dignity to children, contributing to the creation of an inclusive school. 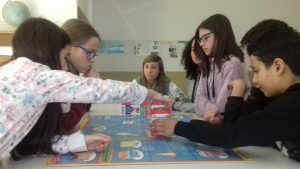 The use of ICT and Robotics can help the teachers to create an inclusive environment if used following the pedagogical concepts of cooperative learning and co-constructivism. The robots helps the learners with special needs increasing the timing and the quality of attention compared to traditional lessons and favouring the development of superior competences. The interaction with a robot it facilitates the learning of abstract concepts thanks to the rappresentation in a concrete context. Moreover, giving the robot commands and seeing them performed gives the children a sense of control over the reality which is usually missing because of disability. Achieving successes and learning progresses have a positive effect on self-perception, improving motivation and educational and social results. The programmable robots have the ability to repeat several times certain actions without getting tired, and this allow teachers to devote the necessary attention to the child, to monitor the reactions and the class relationships. A robot, however, lacks typically human characteristics, fundamental for educational activities, such as emotional intelligence, so it has to be used in a social (and socializing) context. 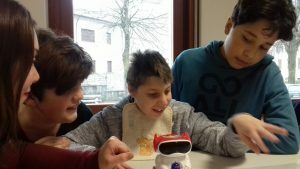 The experience of Luca represent a good example of how the use of a small robot can improve the inclusion of a disabled student. 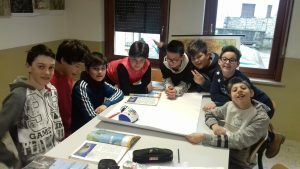 Luca has a severe disability and cognitive delay, he his included in a secondary school class in Italy. His peers respect him but the teachers wanted to find a way to improve their collaboration and relationship and to make him feel more active in the class. Luca uses an alternative and augmentative learning means: images of personal experience, life context and highly understandable symbolic images, used daily to reinforce the acquisition of the concepts they convey. The teacher decide to introduce some robotics activities for the whole class using Clementoni DOC robot in order to involve Luca. 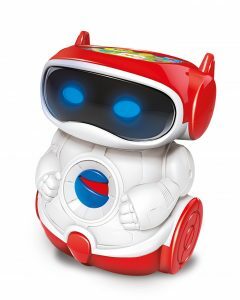 This robot is suitable for children from 4 to 7 years and using it with early teenagers might be seen as a challenge, but in that class it can represent the perfect introduction to robotic. Moreover Clementoni DOC is very attractive for Luca because it has a nice shape and physiognomy, which stimulate his care for it and it has colored catchy lights good for engage him. DOC emits clear and distinguished sounds which give immediate feedback to Luca. The fact that DOC does what Luca program it to do, gives to the student the idea that he can control external events. The possibility to make mistakes without consequences improve the student’s self-confidence. The whole class is working with the same kind of robot and Luca can give his contribution to the common activity and be an active part of the group.